The saying, if you knew how powerful your thoughts are you’d never have a bad one, really is the best intro into what I’m about to share. Wayne Coyne, singer of Flaming Lips, lives in Oklahoma City and has a reputation for being very nice, giving, and open. A king of the freaks, he welcomes people, if you can find him. 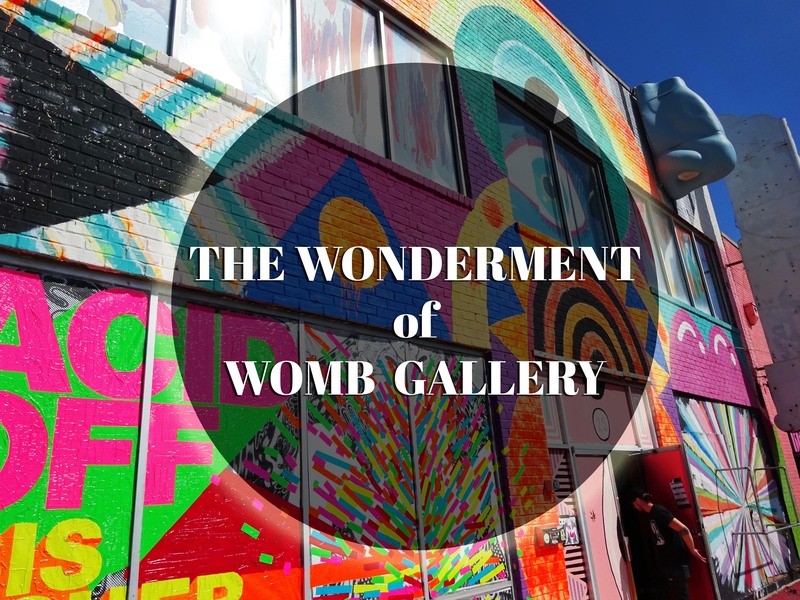 Knowing his gallery, Womb Gallery was located in Oklahoma City, Bowerbird and I decided on a whim to just see if we knocked on the door possibly we would be able to stay at the compound. Unfortunately the freak storm in Oklahoma, caused us to pull off the road 16 miles from the gallery and all my hopes of running into Wayne washed away. The next morning we went to the gallery, and as Womb is known to have fluctuating hours, I assumed we’d only be able to take pictures on the outside and it would put us 10 minutes behind schedule max. We also had the diamond crater of Arkansas on our list of things to do that day. Instead Womb Gallery turned into nearly an hour excursion and it was better than we could have imagined, we found a different kind of diamond that day. Driving up to the gallery, there was a group of men taking down an installation of a nose on the outside of the building. I could tell the gallery probably wasn’t open, but I wasn’t going to let it stop me from asking. Approaching the gallery manager, we asked if it was open and after explaining we we’re on a road trip from California and wouldn’t be able to swing back for the show, Jake was very kind and offered to give us a tour. Their show Acid Off by artist Isis Fisher opens this weekend, October 11, and half the space was incomplete but the concepts mind blowing. Glitter floors, fluorescent walls, textural and scent stimulating sculptures; the entire space awakens a creative spark within. Pushing norms, and mixing the absurd with post-modern fine art. 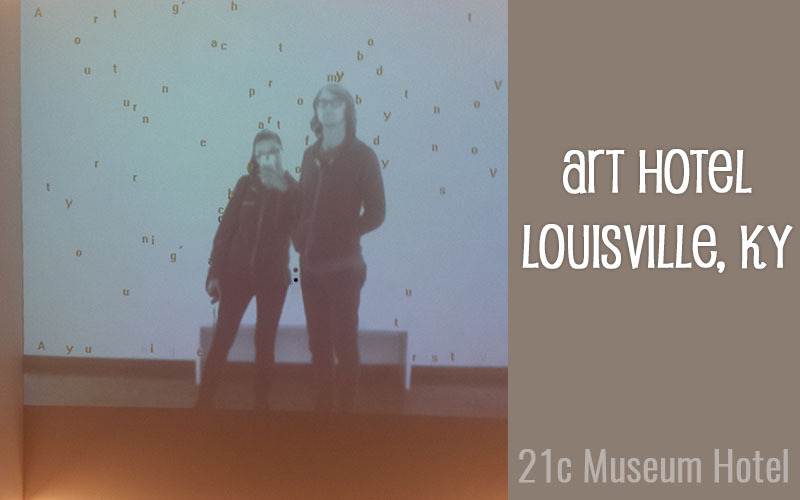 Jake and I geeked out on art, discussing past exhibits with Dalek and Bigfoot. I even shared with him an artist I had worked with before, Alex Chiu that I feel would fit in the gallery perfectly. Then when having our picture taken with the womb room installation, Wayne Coyne walked in. Jake telling Wayne, he was giving us a tour of the space, Wayne replied “steal their credit cards, give them a high dosage of LSD, and put them to work” – we didn’t need the LSD, but did debate turning around and helping the gallery while we drove away. As I told Jake I’m terrible at taking pictures, he expressed he shared the same struggle and then went on to explain the one time he did have a camera it was at Damien Hirst studio. It was then that he showed us the Damien Hirst piece they actually had at the gallery, and we met Wayne Coyne. Affixed to the ceiling of the back office, is a massive spin art piece by Hirst. I laid on my back just to get the scope of the work. We then chatted for a bit with Wayne about Los Angeles, being a creative person, and how I sort of kind of stalked him the night before on Instagram. He really is this down to earth guy. I was surprised when he asked me how I was expecting to live in LA after having quit my job. Although I jokingly said, “well I’ll do the hustle”. I should have said I know my talents, my drive, and I don’t let money worries stop me from living my life to the fullest or achieving my dreams. At the end of the womb tour, Jake sent us off with t-shirts, amazing Emek prints, and a huge highlight of this grand adventure. Meeting Wayne was surreal, but we both want to hang out with Jake again for a drink or two. I love to geek out on art, and don’t do it nearly enough. We are going to see if we can manage a drive back through Oklahoma at the end of the month to see the next exhibit, but in all honesty the weather scares me. Before the trip I repeatedly said over and over again how I wanted to stay at Wayne Coyne’s compound. I mentioned the desire at every party I went to, every time I explained where I wanted to go on my roadtrip. I just kept putting the thought and desire out in the universe, and it happened. We met Wayne Coyne. Sure it wasn’t a Flaming Lips bed and breakfast situation, but my intention was answered. The intention that I get to experience Wayne Coyne, and his environment. I came up with this as we drove away, while reminiscing over our moment with Wayne; in positive thought expect nothing, be open to everything, ask for anything. 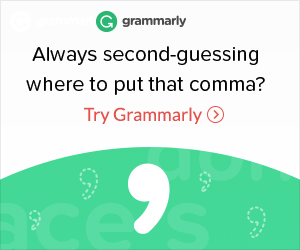 My junior year of high school I did a philosophy report on “Do You Realize” and “She Don’t Use Jelly”; stating it expressed a freedom and ability to be authentic to yourself. I feel that on this adventure, I get to live that philosophy and it was solidified even more meeting Wayne Coyne. Yeah the weather is scary. Enjoyed your account of visiting the gallery and the recent pics. We are not covering the Acid Off by Isis Fisher show, although we’ve written about others, so it was nice to get a peek.